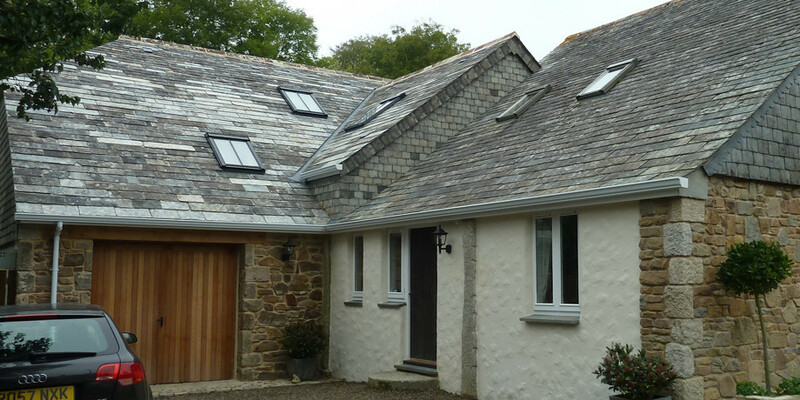 Although this original barn conversion was carried out during the 1980’s and gradually extended over the years, its current owners decided to further extend and thermally improve its performance. Atelier 3’s brief was to design an extension that created a sustainable family home without detracting from the original barn conversion and neighbouring buildings in its rural setting. 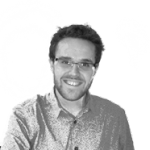 An Energy Assessment analysed that the existing thermal performance achieved a very poor score of 36, an F rating. Careful design and specification resulted in the completed building achieving an improved score of 90, a B rating. 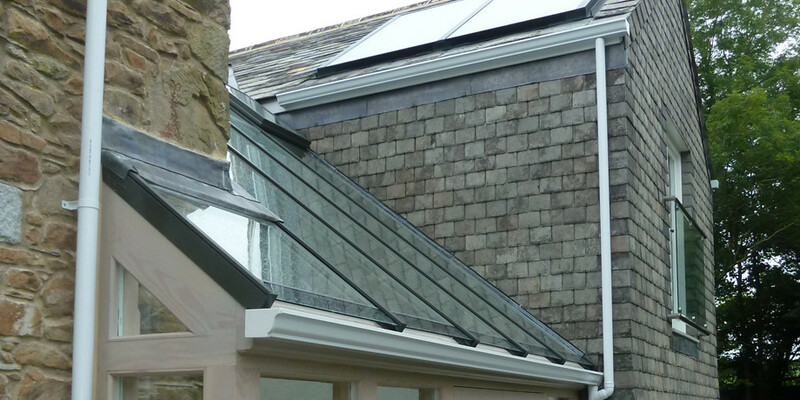 This was achieved by integrating higher levels of insulation to the extension, installation of solar thermal panels and a southerly glazed heat store which accommodated a feature open galleried link between the existing and extension. 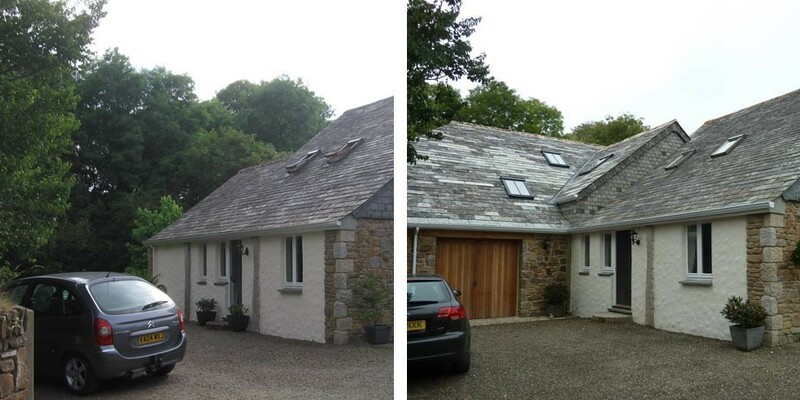 The extension complemented the existing property by using traditional techniques, local materials such as reclaimed Delabole slate laid with diminishing coursing and locally quarried stone. 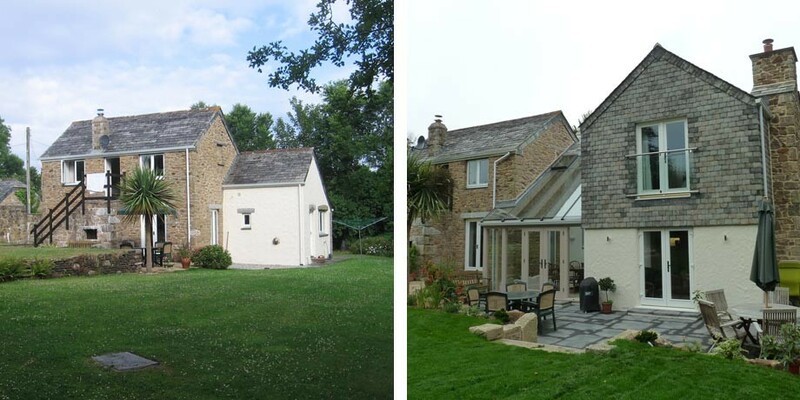 The extension enabled the creation of a garage, a new utility and downstairs wc/shower room, a new family dining and living room together with a family kitchen. A fully functioning family bathroom, a new double bedroom with shower en suite and a master bedroom were created at first floor level. 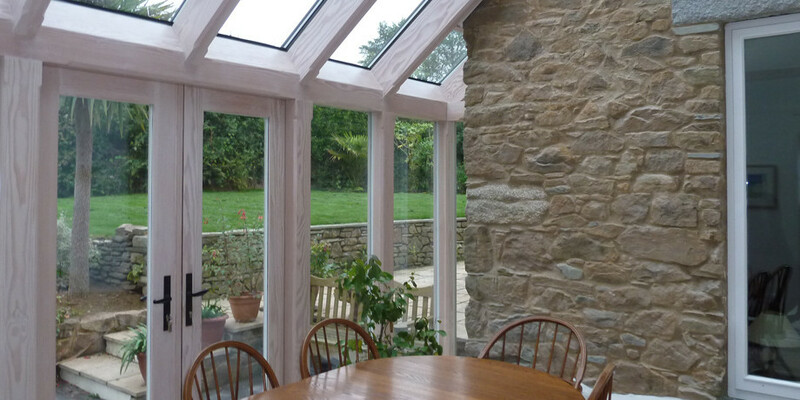 A garden room was also included to act as a solar collector. The landscaping was enhanced with a new area of terracing which enabled a greater interaction between the reconfigured ground floor rooms and the outside. The modifications to the external appearance improved the balance and proportions of the original dwelling and the later extensions give the desired impression that this property has evolved over a considerable length of time. 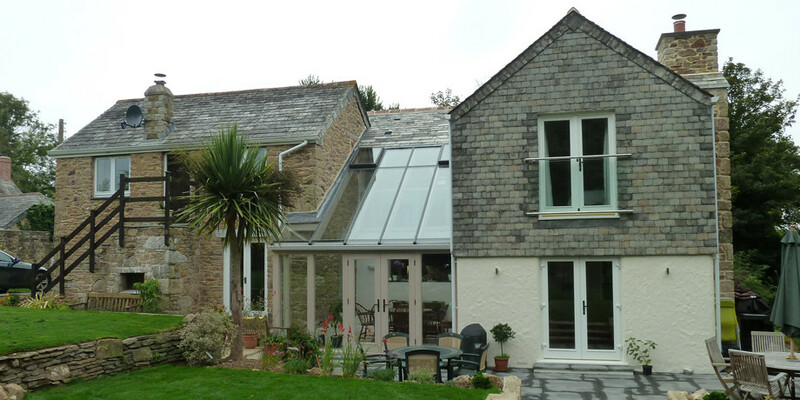 Atelier 3’s project The Barn House, St Kew, features within the building design section of the Cornwall Design Guide. The Barn House features on page 66 of the design guide under 7.3 Built form and character and is commended for the utilisation of reclaimed materials in the design. We have a passion for great architecture and design. See how we can help you with your project.